These are just cute. And yummy, and quick to put together. 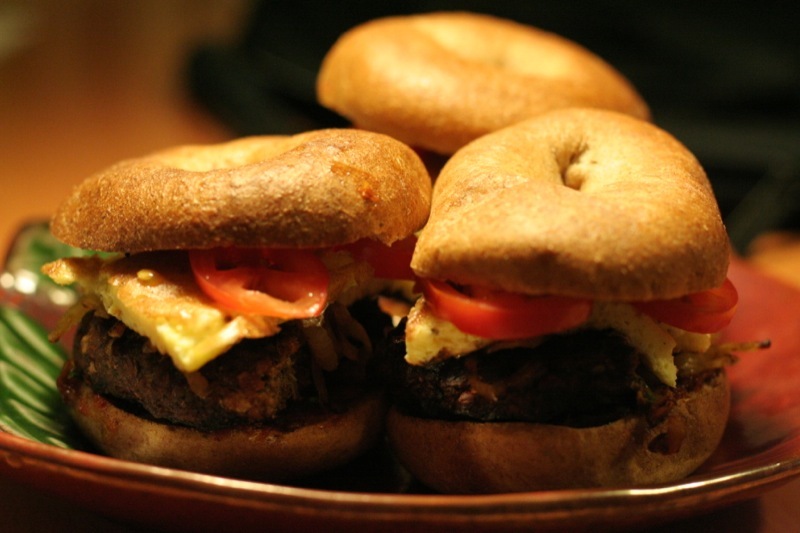 The sundried tomato butter is used twice – the onions are sauteed in it and it is spread onto the bagels. It adds a sweet-savory tang that balances out the strength of the kabobs (which I guess I’m using as breakfast sausage). 1. Make an omelet with the eggs – just pour it into a warmed/olive oiled pan and cook till done, flipping once. 2. On medium heat, melt some sundried tomato butter. Add a dash of olive oil. Sautee the thinly sliced onions until soft and slightly caramelized. You won’t have to add any sugar because the honey in the butter will add the necessary sweetness to caramelize the onions. 3. Assemble: Spread sundried tomato butter onto the bottom of a mini bagel. 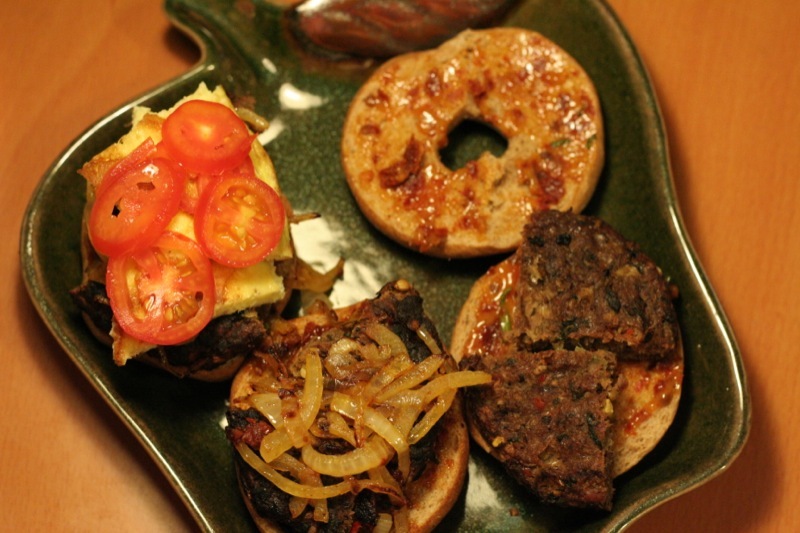 Cut the kabob/breakfast sausage into an appropriate size/shape and place on the bagel. Spread on some of the onions. Cut a piece of omelet, place on top of the kabob and onions. Top with sliced cherry tomatoes and the bagel top.